Harnessing the attributes of concrete, precast concrete wall panel system manufacturers are pressing forward and continuing to innovate, including funding ongoing research and development on various types and weights of insulation and concrete, finishes, and textures. There is also ongoing industry research into thermal bridges and improving erection systems to further improve the systems. One of the leading technologies on the horizon for precast concrete is 3-D printing. In partnership with Oak Ridge National Laboratory (ORNL), 3-D printed molds for the architectural precast concrete industry are currently being tested. This technology enables many more castings per mold, reduced production time, and built-in energy-saving features. This research is part of the precast industry’s desire to modernize its manufacturing techniques, which have experienced minimal changes over the past few decades. Advanced manufacturing can transform the architectural precast industry by developing materials and processes that can reduce the assembly time of complex molds. Current mold manufacturing techniques involve assembling mostly plywood sheets and finishing their surfaces with fiberglass-reinforced coatings. The availability of skilled craftsmen who can do this task has been continuously declining; therefore, precasters have not been able to keep up with technological advances, such as the ability to design complex geometries through building information modeling (BIM). The ultimate goal for the industry is to develop a new mold manufacturing process that takes advantage of the latest technological advances, increasing competitiveness. Off-site building construction or prefabrication has been gaining momentum because it offers a better product and faster installation than on-site construction. The primary objective of the ORNL project was to demonstrate the viability of using carbon fiber reinforced ABS plastic and the Big Area Additive Manufacturing (BAAM) technology to rapidly manufacture molds for the precast concrete industry. To this end, ORNL will gather data on the mold manufacturing process, including 3-D printed materials, optimization of mold designs, production time, and mold performance attributes, including durability and quality of concrete surface finish. This information will be compared to data from traditional mold manufacturing techniques. This assessment will de-risk an advanced manufacturing technique that has the potential to be extremely beneficial to the precast industry, as it could reduce the manufacturing time of complex molds by about 50 percent. The results of the first phase of the study demonstrated that the BAAM process could rapidly manufacture molds suitable for precast concrete manufacturing. A second phase of this project, currently underway, will focus on exploring more challenging geometries to aid in identifying potential limits of the technology. Researchers at ORNL are evaluating the performance of 3-D printed molds used to precast concrete facades in a 42-story building. Molds are typically handmade from wood and fiberglass coatings, and they must be resurfaced after 20 to 30 pours. A 3-D printed mold could potentially cast up to 200 pieces. “With 3-D printed molds, architects can create complex designs for cornices and columns that they have not previously explored,” ORNL’s Diana Hun says. The research team used large-scale additive manufacturing technology to produce the molds, which are about as large as a queen-size mattress. 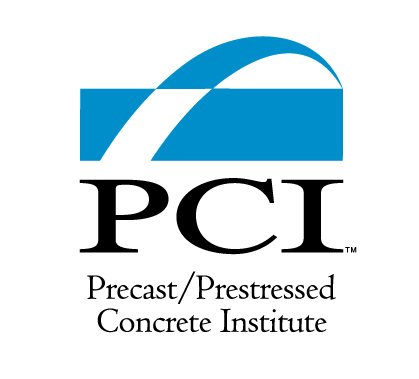 Industry partners were Gate Precast and Precast Concrete Institute. Through innovation, precast producers have enhanced the aesthetic and performance capabilities of concrete while preserving its attributes as an environmentally sound and versatile material. While innovation is enhancing its production process, the benefits of concrete do not end at its creation. Once integrated within a project, concrete’s resilience, versatility, and performance shine. Its durability offers excellent performance day to day but also in the face of extraordinary events, like natural disasters. Resilient design is multifaceted and involves long-term thinking about worst-case scenarios as well as more common, everyday wear. The variables that contribute to resilience are complicated, but the big picture is simple: buildings need to be resilient in order to be truly sustainable. And precast concrete performs. 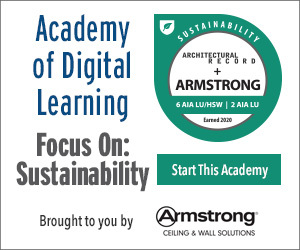 Its performance does not only encompass simple energy conservation but also supports whole building and occupant health. Performance. Resilience. Versatility. Innovation. The attributes of and new advancements in precast concrete help designers and owners to achieve performance, health, life and safety, and general welfare goals.